Get ready for the Nielsen Library’s first ever Instagram contest: ‘Gram while you cram! We know you’re hard at work cramming for finals. 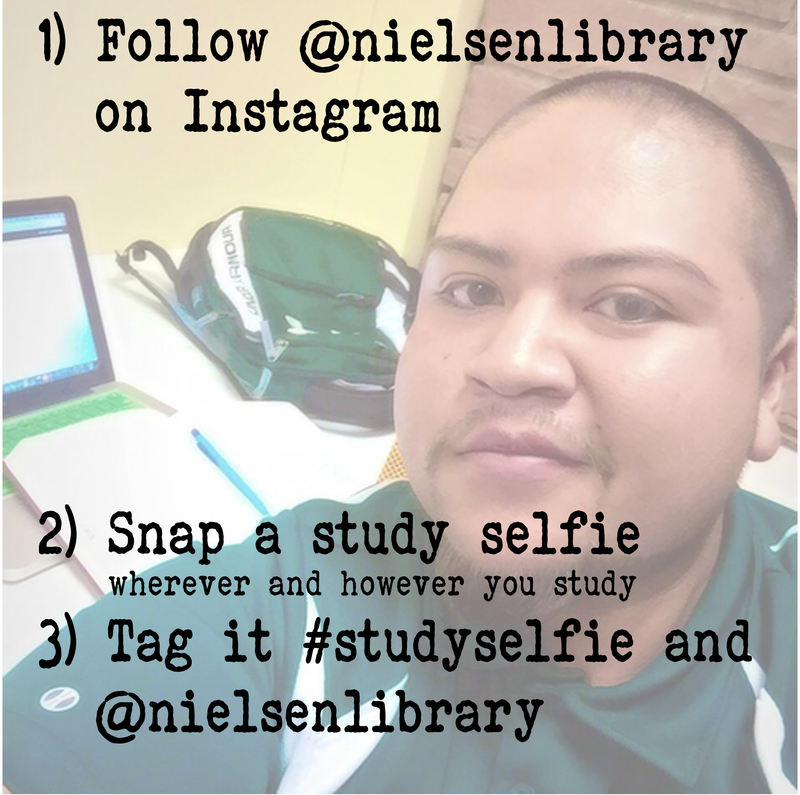 Snap a study selfie and send it to us for the chance to win the exclusive right to reserve study room 215 during finals week. Snap a selfie – wherever you study, however you study. It doesn’t have to be in the library. We’ll draw one random winner from all the selfies uploaded before 11:59 p.m. on May 9. The winner will get the exclusive right to reserve group study room 215 (normally non-reservable) during finals week. We’ll also pay to have a large pizza delivered to the room at a time of your choosing.